I am writing this message as I am no longer playing this Runescape Gold game. However in this thread I am hoping to leave the bedrock if followed and is required if this games wants to start playing with some of the big boys. Each game that’s gets made needs essential qualities. Lots of these qualities are lacking in content quality and quantity. This game has plenty of mediocre content that requires way over the call of duty time wise to receive the reward. If only making things easier would solve all of the problems with a reputation known by the community as grind scape and even talked about jokingly. By reducing the amount of time relative to the quality of the content I believe over all the quality of the game would improve. The next largest problem runescape must address unless they would like players to brutally/silently tell them enough is enough…. I’m going to say this as simple as I can quality content takes many man hours and best games on the market these days have easily 300 staff delivering outstanding quality that’s enjoyable and does not have grind aspects to them. I think in this department when it comes down to runescapes biggest downfall it would be a lack of investment in staff and management. Thus all the players get is woefully disappointing game not to the mention the amount time it takes from feedback to bug repair or simply unfair systems such as the grave system or no grave system. The point I am trying to make is that people have choice that effects all companies in good ways and negative ways. The point I am trying to make is runescape has been in stagnation for quite a time. 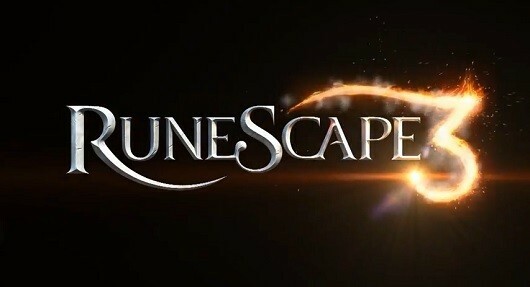 If runescape ever wants to progress this game they must respond instantly to feedback and implement bug fixes just as quickly. They must also deliver massive amounts of updates at least 10 times more than the shameful amount of updates players receive at the moment. The grind aspect must be reduced to make way for better content. However none of these things can be done cheaply with quick fixes because they don’t make rock solid foundations. The worthwhile way of doing such massive change is the hard/proper/correct way otherwise you wont be happy. I need more agility experience to climb over that wall of yours ! I’m also not entirely certain of what you’re saying, please add a tldr to the bottom to summarise.From the looks of things you want players to stop complaining about updates and have regular content additions that have high rewards and don’t take as long to complete? I’m sorry but I can’t support a notion like that. Reward has to be balanced by time, many quest updates are rich in lore and this can take a little while to be fully explained in a progressive storyline, if you’re not interested in lore there is a skip option for most of the dialogue.